Identity → Behavior → Feelings. 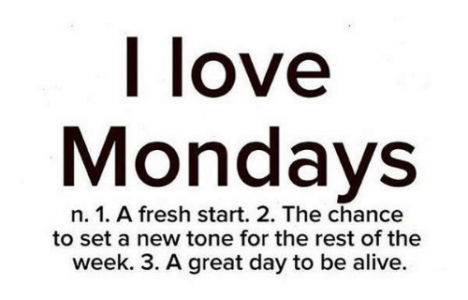 Happy Monday Endomondo All Stars! We are in week 11 so we are almost to the end. You all are an amazing group of people! Keep on being awesome. Keep on getting your exercise in. Keep on doing things that make your day better and make you feel your healthiest and best. Continuing on our theme of feelings following behavior, let’s chat about some wisdom from Eric Greitens. Eric is a fascinating guy. Rhodes Scholar-humanitarian turned Navy SEAL. He wrote a great book called Resilience which is a collection of letters he and another SEAL exchanged after his buddy went through some hard times. One of the great ideas Eric shares in that book is today’s +1. Eric tells his friend that most people base their behavior on how they feel which then drives their sense of self. He tells us that’s totally backwards. Rather than Feelings → Behavior → Identity in which our feelings drive the show we want to orient from a model where our strong sense of self drives the whole show. Like this: Identity → Behavior → Feelings. We have a clear sense of who we’re committed to being. That’s our “Identity.” THAT determines what we do. NOT how we feel. Who are YOU committed to being? In those micro-moments that determine your destiny today, ACT LIKE that best version of you!! Affirmation of the day: I’m going to drink water, eat fruit and vegetables, walk, take the stairs, exercise. Today I’m giving love to my body.